Following the announcement that Quantum Break, previously an Xbox One exclusive, will be heading to PC on its April 5th launch date, a rumor has appeared that suggests more Xbox-exclusive titles will be transitioning to PC in the near future. The report, which comes from WPDang via Windows Central, claims that Microsoft will soon be putting a greater emphasis on gaming through Windows 10 and the Windows Store. To improve the experience on PC, the company will allegedly be bringing Forza Motorsport 6, Gears of War 4, and Scalebound to the platform. On top of this, the yet-to-be-announced Forza Horizon 3 will also make its way to both Xbox One and Windows 10. All four titles, as well as Quantum Break, will be exclusive to the Windows Store. The move to bring these Xbox exclusives to PC is a significant one for Microsoft, as series such as Forza have never previously been available on PC, while Gears of War has been missing since the very first title. However, they won't be the first Xbox exclusives to appear on PC: Microsoft has already brought titles such as Killer Instinct and Gears of War Ultimate Edition to the platform. It could be a while until we hear about the aforementioned games coming to PC. Gears of War 4 is slated for a late 2016 launch, while action role-playing game Scalebound isn't coming until 2017. 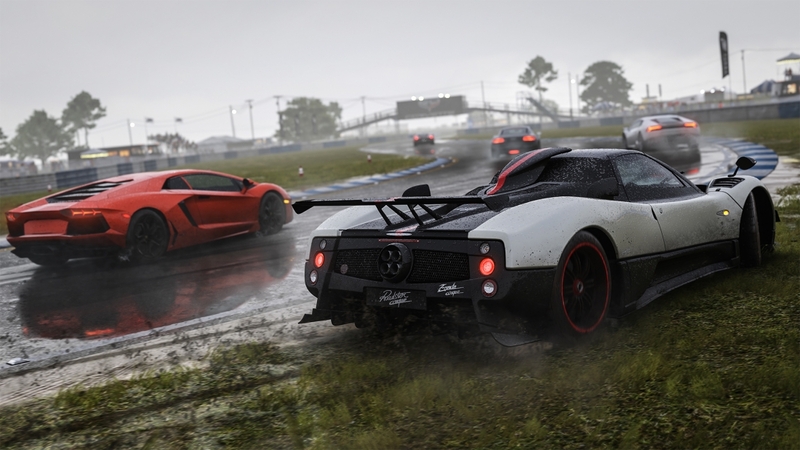 The only title that could potentially be ported soon is Forza 6, which launched on Xbox One in September last year to widespread praise.